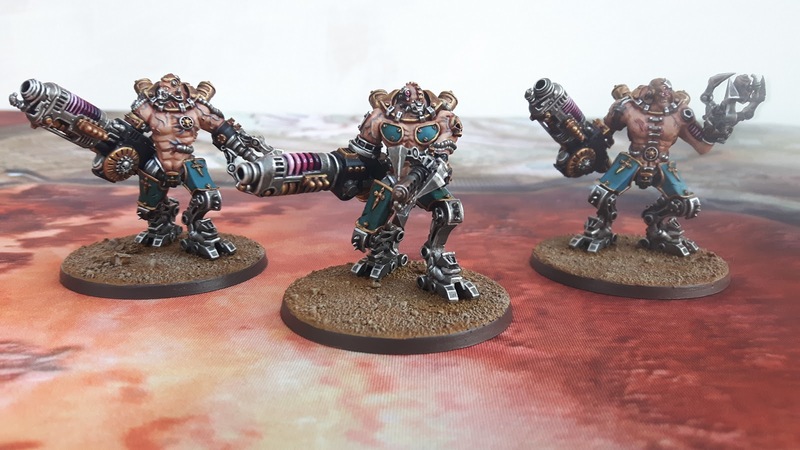 We've reached the end of Squaduary 2018 and I'm pleased to announce that I've completed my pledge of three Kataphron Destroyers for my Adeptus Mechanicus force. Robots with abs, what's not to love!? I know three models isn't exactly impressive compared to some of my fellow Squaduary participants but I'm pretty pleased with myself. The squad has come together nicely and added another 200 points to my growing force. Painting some models with a bit more flesh was a breath of fresh air in the midst of my mechanical hordes. 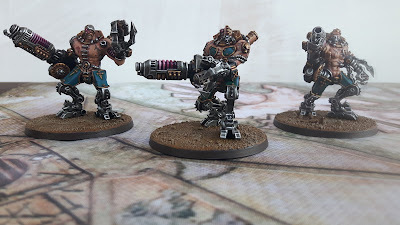 Wargame Exclusive have created a nice set of miniatures here, which were a lot of fun to build and paint. So much plasma, so much potential for gets hot! I've yet to try fielding these guys on the tabletop which is probably a first for me (completely painting a squad before they hit the tabletop). I do have a game booked this weekend so I feel duty bound to give them a test run. I've thoroughly enjoyed Squaduary again this year. Once again, seeing the progress of the other participants has given me the motivation to finish a squad of my own. Big thanks to Rory over at Stepping Between Games for organizing the event and posting weekly updates of everybody's progress. If, like me, you're a fan of these monthly painting challenges, Swordmaster at Path of an Outcast will be running Monster March again this year. 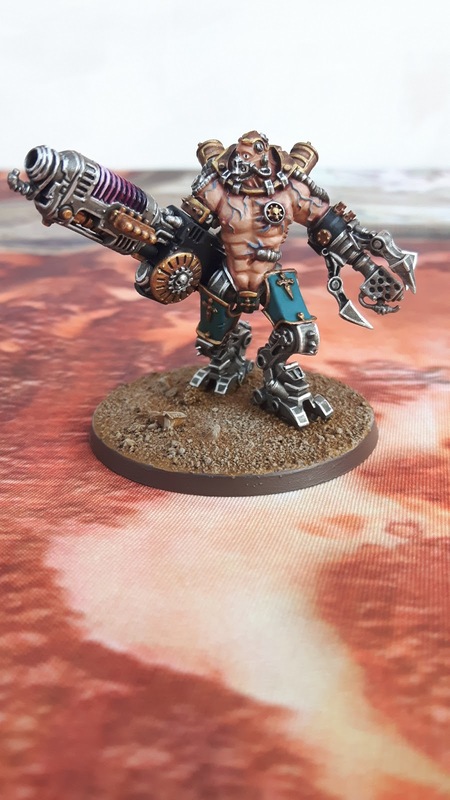 I will be taking part and attempting to paint my Cerastus Knight Castigator (such an awesome model). Check back later this week for an introductory post to Monster March. As usual, you can see my Squaduary progress here, here and here. I've had a blast, let's do this again next year! Three models is two more than I painted all of 2017 mate. Well done! Wow! Way to make me feel good about my glacial painting progress! Do you have a painting target for this year? Well done chief, a wonderful squad to add to the collection. Cheers Rory. It was a pleasure to take part in Squaduary again.